Welcome to the Kalamazoo College Counseling Center! College can be stressful and we are here to help you! Many college students experience a wide range of emotions during their college experience, including excitement, sadness, homesickness, grief, identity concerns, and stress, and sometimes all at the same time. 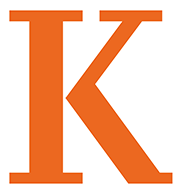 The Kalamazoo College Counseling Center offers a wide range of services including individual and group counseling, as well as outreach programming, and training opportunities. Please learn more about our services by exploring our website. In order to start individual services, please come to the counseling center and complete intake forms located on the computer in the lobby. A clinician will contact you within 48 hours to set up an initial appointment. The Counseling Center is located in the Hicks Center, 1st floor west.